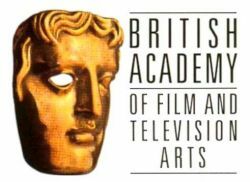 This morning the British Academy of Film and Television Arts announced their shortlist of nominees for the forthcoming 2012 BAFTA awards. The longlist was announced a couple of weeks ago and caused the usual controversy with a few omissions standing out however there was an overall sense that 2011 was a good year for the British film industry and this morning Daniel Radcliffe and Holliday Grainger took to the stage to reveal the final list of those competing for the awards. The shortlist for the Orange Rising Star award has already been announced with Chris Hemsworth, Adam Deacon, Tom Hiddleston, Chris O’Dowd and Eddie Redmayne up for the prize. The awards ceremony will be held on the 12th of February and Martin Scorsese is this year’s inductee into the BAFTA fellowship, which should complement the rave reviews and awards buzz he is getting for Hugo. We’ll be there in Covent Garden in a few weeks’ time for the awards, in the meantime here are the list of nominees for the awards. It’s great to see Joe Cornish and Richard Ayoade up for Outstanding Debut and the nods for Asif Kapadia’s Senna are well deserved and fly in the face of Uncle Oscar. Steve McQueen’s Shame and Nicolas Winding Refn’s Drive have a few nominations between them, in particular I’d love to see Refn’s film awarded best film (particularly as Shame is odddly absent from the nominees) but it’ll never happen. Perhaps this is the year of The Artist?